Hayward Universal Color Logic LED standard switched lighting will transform your customers outdoor environments. Standard switched model simply controlled by a standard light switch or remote control. Save as much as 86-percent on energy costs compared to incandescent lights. Brighter than most color LED lights available today. Illuminates most pools in vibrant color with a single light. Comes standard with 10 vibrant colors and 7 programmed light shows. Optimized TIR optic casts and keeps more light throughout the entire pool. Install these lights as close as 4-inch from the waterline to light even the shallowest areas. 2-Wire low voltage pool light. Made entirely of high impact plastic with an unbreakable lens and no exposed metal components. Lasts 20 times longer than standard pool lights. No bulbs, filaments, color-wheels or moving parts. 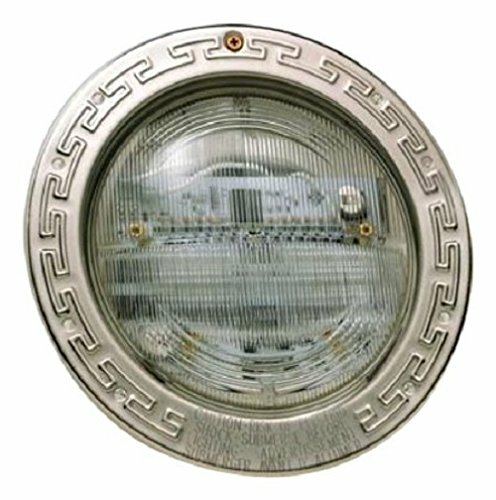 All lights come standard with smooth white and silver luster starburst trim rings. Only LED pool and spa lights UL listed to be installed in virtually any pool or spa niche. UL listed for wall and floor installation. Easily convert 120-volt lighting systems to low voltage using Hayward transformer/J-Box retrofit kits. Includes 50-feet cord. Bring color to all corners of any commercial pool or spa with Color Logic 320 & 160 LED lights! 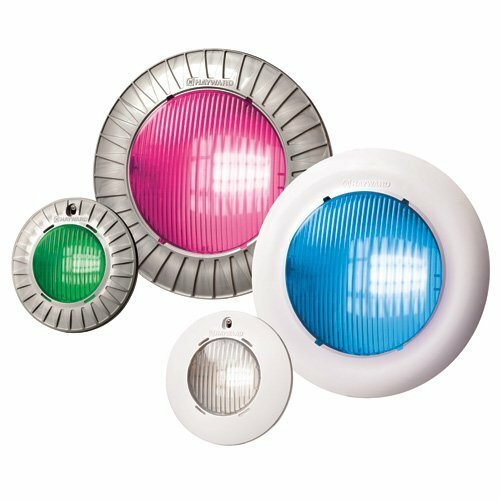 The new 1.5-inch pool, spa and accent lights provide low-profile, total color coordination of all water environments and complete synchronization with all Universal Color Logic lights. 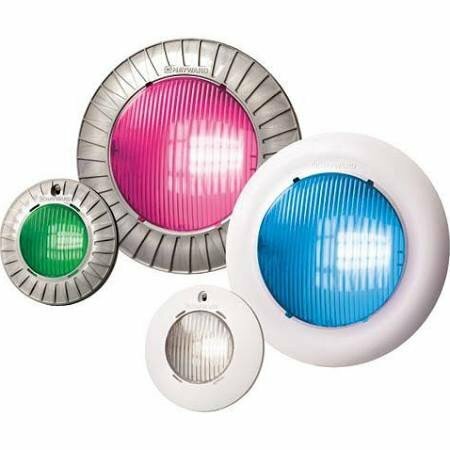 With 10 fixed colors and 7 color-changing shows, the Color Logic 1.5-inch lights can light an entire pool or spa and is also ideal for highlighting steps, bubblers, Baja shelves and other water features. The Color Logic Light Controller puts the power of colorful, customizable low-voltage Color Logic LED lighting at your fingertips. Choose the perfect color option for your pool and backyard from right inside your home using the convenient dial and preview window. 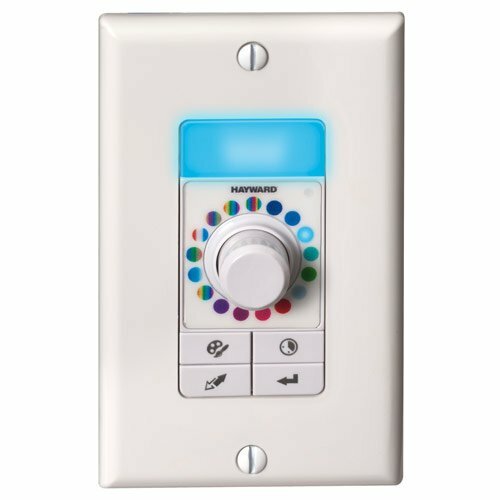 As the only wall controller that can be easily installed into an existing light switch, the Color Logic Light Controller makes it simpler than ever to see your pool, spa and landscaping in a whole new light. Experience unparalleled color, control and convenience-choose the Color Logic Light Controller for your backyard. You can now light up the night with 5 fixed colors and an unprecedented 7 color-changing shows. 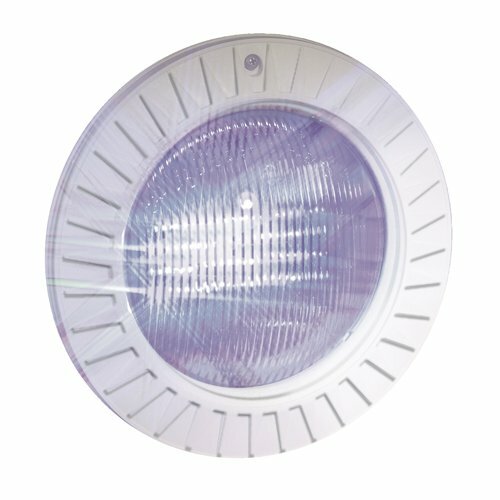 ColorLogic by Hayward combines patented technology and the most advanced LED lights in the industry to deliver high intensity light in an extensive selection of colors. ColorLogic provides over 50,000 hours of performance and no moving parts or bulbs to change and you have complete control over the speed, motion and brightness of the light shows. Requires 79% less energy than standard incandescent lighting and lasts 20 times longer. You can also easily synchronize 2 or more ColorLogic 4.0 LED lights. The unit comes with a 100 foot cord and features a plastic face plate, ideal for saltwater pools. IntelliBrite 5g automated color-changing pool and spa lights feature LED technology is the wave of the future in energy efficiency, lifetime value, quality of light, and controllability. With IntelliBrite 5g, combinations of individual colored LEDs are mixed and matched to achieve a vibrant spectrum of colors. These combinations are power sequenced to illuminate and cycle through colors at varying speeds, and in different sequences of color. 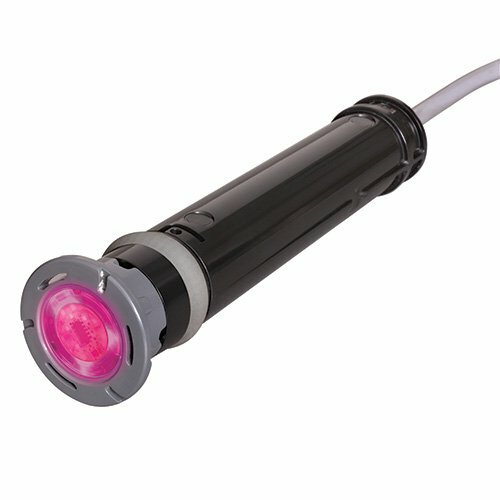 Combined with a custom reflector and unique lens design, the IntelliBrite 5g offers super efficiency while being the brightest yet most energy efficient underwater LED light available. 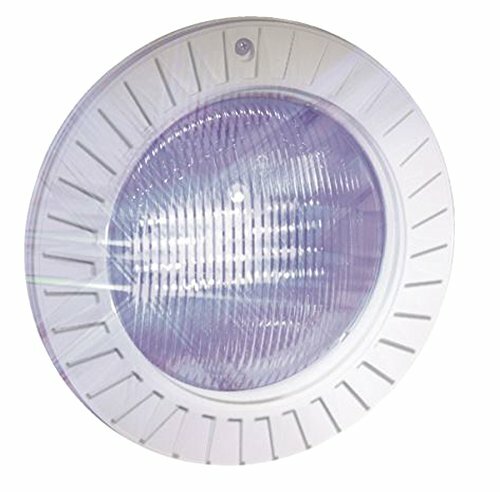 Lens can be rotated to 180 degrees to provide wide beam pattern or narrow beam pattern and up to 50 percent less energy consumption than competitor's lights. 5 predetermined fixed colors create the mood for the evening blue, green, magenta, white, and red or select from 7 popular color shows. Available in 120-Volt and includes 100-feet cord. UL certified product. Measures 11-inch length by 9-inch height by 11-inch width. Hayward Color Logic 4.0 LED color pool light has 4 new shows for a total of 16 shows including 5 fixed colors. Customize the 5 fixed colors with up to 101 different color tones to match a theme or activity. Speed adjustments allow light shows to be controlled with 9 different settings. Motion control puts the lights in action to add excitement and patterns in pool and spa. Brightness control sets the intensity of the lights from 20-percent to 100-percent. Power line communication technology built into every light allows communication between single and groups of lights with no additional relays or wiring required. All white light override feature for added safety as no moving parts are included. UL listed. Comes with 30-feet cord and plastic faceplate. 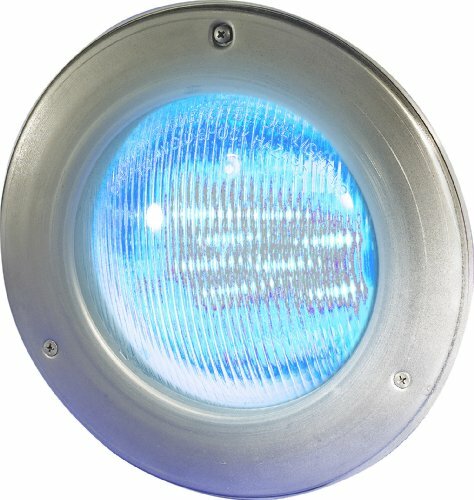 Looking for more Hayward Colorlogic Pool Light similar ideas? Try to explore these searches: Victorinox Utility Black Nylon, Oil Pan Spacer, and Crystal Apple Pin. Look at latest related video about Hayward Colorlogic Pool Light. Shopwizion.com is the smartest way for online shopping: compare prices of leading online shops for best deals around the web. Don't miss TOP Hayward Colorlogic Pool Light deals, updated daily.